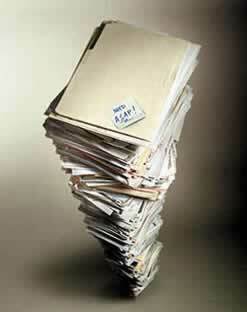 Records retention programs have been important aspect of any organization. It helps to provide an orderly and cost-effective approach to eliminate valueless records from an organization. With the enactment of various Privacy Laws (FACTA, HIPPA, FERPA, SOX) and an ever increasing litigation involving the enactment of Open Records Request, organizations are finally focusing on ensuring that they have a legally-defensible Records Retention Program in place. A Records Retention Program, properly architected and implemented, ensures that required records are maintained for the appropriate period and that Document Destruction moves forward within the legislative guidelines for that organization and with the appropriate signed authorizations. Who needs to comply with the guidelines for Document Retention? Complete Records Management, Inc. provides a strong value-added proposition that offers our customers the assurance that they are following all legislative requirements in managing their records. Complete Records Management, Inc. offers cost-efficient Records Retention Services throughout Texas and contiguous states (i.e. Louisiana, Arkansas, Oklahoma, and New Mexico). We use existing state or other recognized authority guidelines to accurately inventory, catalog, store and as necessary, identify for destruction, all inactive records located within the organization's record retention center.